Neil Hart focuses on understanding weather and climate variability and predictability, with a curiosity about interactions between processes across spatio-temporal scales. He joined the School of Geography in November 2015 as a researcher in African climate science. His PhD research, completed at the University of Cape Town in 2012, investigated the role of tropical-extratropical cloud bands in southern African summer rainfall variability. This work included contributions to the dynamical understanding of tropical-extratropical interactions over southern Africa, and mechanisms by which the frequency and intensity of these events can be modified by large-scale modes of variability. Neil then spent three years working on the dynamics, predictability and climatology of sting jet wind storms, which form within intense extratropical cyclones. This was done in the mesoscale meteorology research group in the Department of Meteorology, University of Reading. During this time he developed strong interests in mesoscale processes operating in a range of environments including extratropical cyclones and mesoscale convection. 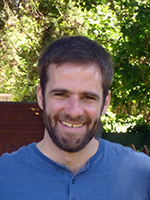 Neil is studying the dynamics of the weather and climate over central and southern Africa with special interest to interrogate ability of models to represent the regional processes and remote climate drivers. This includes research on the role of convection in regional climate, the influence of the extratropics on rainfall over the subcontinent, and how this may change in the future. This work is done in collaboration with colleagues in the UK and southern Africa, supported by the UMFULA project funded by NERC and DFID.